We are aware that finding a pet friendly Airport Limo service in Toronto is not easy. Not all Limo Services allow their clients to travel along with their pets. Most Limo companies do not want to risk damages that may occur by pets within their cars. We at Toronto Airport Limo are the right company for pet transportation in Toronto. 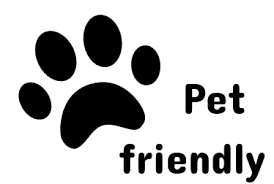 By not finding a pet friendly car service in Greater Toronto Area leaves the clients of no other choice than going to the vacations without their pets, the fun of the vacation is gone when your loved ones cannot accompany you. It’s also not about just a pet friendly car service for vacations, there are times when you have to move from one place to another with your pet and it becomes almost impossible to find a pet friendly limo service. We also specialize in Long Distance Travel from one city to another when you want to travel with your pet and you do not wish to transport your pet in the cargo hold of the air plane. You are always welcome and able to request a car service from Toronto Airport Limo and not worry about being refused for traveling along with their pets. As we use the same fleet for our clients travelling with pets and for the clients not travelling with pets, we just charge an additional $ 50.00 car detailing fee considering the comfort of our next client who will be riding in the same car as some people are allergic to pets.